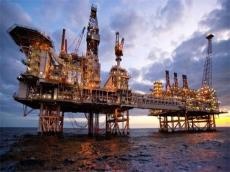 Azerbaijan’s state oil company SOCAR has commented on reports saying that BP and SOCAR are considering the possibility of geological exploration in two investment blocks in the Aral Sea water area. "The sides are holding consultations and are considering proposals. The cooperation is precisely in this vein at the moment. If the sides make a decision to conduct exploration in the future, we will provide information about that," the company said. Earlier, Podrobno.uz reported with reference to the deputy director of Neftegazinvest Hustniddin Turaev that BP and SOCAR are considering the possibility of geological exploration in two investment blocks in the Aral Sea water area. "Both of these companies have started to work in Uzbekistan in a consortium. Memorandums of cooperation and confidentiality agreement have been signed with them. In particular, they are considering exploration in two investment blocks in the water area of ? ?the Aral Sea. Last year we provided them with the necessary geological information. They are currently studying the materials. We hope that they will decide on further work on these blocks in the near future," he said.